First glimpse of the river...this is the Hugli, a distributary of The Mighty Ganges. This river has a bore [like the river in Bristol], and it can be huge and destructive...we don't see the bore, though. 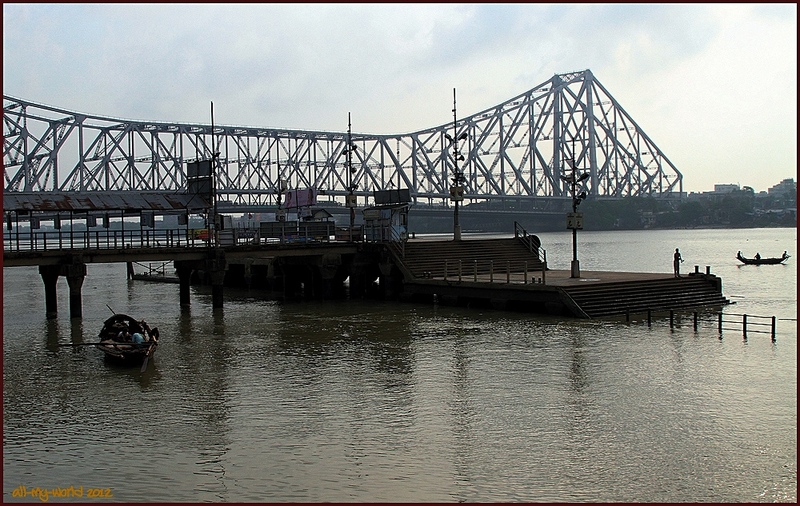 We will walk a bit further, to where there are broad steps down to the river, under the old steel, Howrah bridge, as it looks a bit unwelcoming just here. Yes, I would not be inclined to linger here either. The steel bridge looks very substantial. Ray: Let's stroll up for a closer look at the bridge, then, Alan. I'm not sure I'd want to bathe there, Ray. Ray: The river is highly polluted, Ginnie. Ray: Apparently there are still fish in it, Chris. Again a fascinating glimpse of everyday life in the old colony Ray. That is a mighty bridge. Ray: The bridge is impressive, Chad, and I'll give you a closer look at it tomorrow. Ray: Yours is something of an understatement, Bill. That looks like a better boat than the one you were on. You were not impressed with our Mun River cruiser, Mary. The bore fascinated me - the one meaning of the word I didn't know was this wave thing. Now I know what it is called, thanks to google. That top picture is quite interesting. Ray: Chris gave me an introduction to The Bore when he walked me around Bristol a few years back, Louis. Ray: Tomorrow we will get closer to the steel bridge, Peter. That is quite the place, Ray. 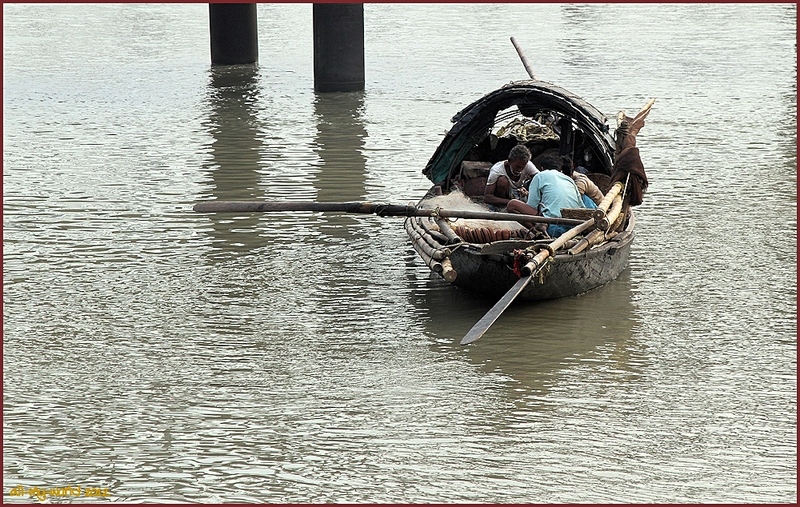 Amazing how there is still ' life' in the river.. Wonderful bridge, reminds me of the bridge on the river Quai?? Ray: It seems there are still fish to be caught in this thick soup, Astrid. The [in]famous River Kwai bridge in Thailand is also a steel structure, but is much smaller than this one. Ray: That is the message that is continuously reinforced, Tom. Ray: I was fascinated by these fishermen, Larry, and marvelled that this polluted river would provide for them. it is safe to say that you ventured to some spots that a visitor would not go to in Kolkata, especially if they had limited time on hand, Ray.